City Camp: Connected by a Friend Like You! I was invited to give a workshop and lead a discussion about Mapping For Justice, and our use of GIS (mapping)... I introduced our map technologies and how they can be used to address the costs of poverty that affect us all. We then discussed new ways to help students advocate for themselves through maps, as well as new ways to generate awareness for the tools we have. Here's the thing though! I would have never learned of this opportunity, had it not been for someone in my network who took the 5 minutes to ask me, "Hey do you know about this event? Do you know these people? You should! They can help you!" So here is an example of how YOU can help us fight poverty today - FREE... at a very small sacrifice of your precious time! All you need to do is think about who you know who can collaborate with us in our mission! We are looking for tech and/or GIS volunteers to help improve the interactive Google map interface we rolled out last year. Honestly, anyone can probably help, even they don't have tech skills. 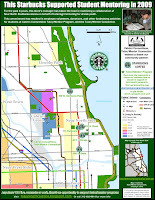 * Benefactors , foundations, or businesses who can help us take our map tools to the next level of impact, through tech/data improvements, and advertising that will build further media/business/political/general awareness of Tutor/Mentor Connection's mission, tools, and data. Of course, with more awareness, we can develop new interest in mentoring, leading to an increase in volunteers and students served... and new innovations, perhaps including development of training programs, and better tracking systems to show short and long-term impact. Ultimately, investment in our tools will lead to an increased capacity to help the next generation of kids contribute more productively in our economy and society. We are looking for this investment. * Political leadership can use their leverage to stir up awareness and build alliances that lead to action in the fight against poverty in their districts. Any political leaders you know can find tutor/mentor-building strategies here. * Faith leaders can preach action for mentor programs through their congregations and communities. There are examples and maps elsewhere on this blog (see "faith group" tags to the right). And here is an important strategy document called "How Faith Communities Can Lead Volunteer Mobilization For Tutor/Mentor Programs." * University leaders can ally on behalf of the safety and education of neighborhood kids. This is discussed here. * Hospital leaders can also ally on behalf of tutoring/mentoring, for the well-being of the community. Look here for reasons why. Look at this strategy document, called "Tutor/Mentor Hospital Connection" for details on how to get started. Thanks to everyone I met at CityCamp this past weekend. And thanks to everyone who reads this, for your continued support. Let's build this network and really make a push for mentoring. Please send all ideas my way. Tutor/Mentor Connection is at the forefront of knowledge/data collection, strategy building, and tool provision for anyone who wants to get involved in the fight against poverty through volunteering, donating, or building alliances in support of non-school tutor/mentor programs. 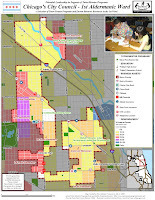 Mapping For Justice is a department of Tutor/Mentor Connection, and offers state of the art map tools for leaders to use in developing plans of action, to mobilize available resources and find new resources that will provide mentor-to-career assistance for students in every neighborhood. Haiti: What Are We Learning This Week? Between June 2001 and and the beginning of this past week (over a span of nearly 9 years), the Chicago Tribune wrote about Haiti fewer than 100 times. Last year, Trib writers made just about 20 mentions of the island that everyone is talking about this week. As I write this blog today, nearly 200 articles (and counting) have been written in the Trib about this week's major earthquake and ensuing natural/humanitarian Haitian disaster, which is partially due to that country's history of neglect and poverty. Of course, this is all quite literally awesome. But where was the attention before this week? Why does it always take a catastrophe of "biblical proportions" (as I saw one headline stated earlier this week) to motivate people to learn (or care) about poverty, suffering, and corruption... and to then take action? Because as many Americans are learning this week (guided by newly interested media and political leadership), the suffering in Haiti didn't begin on Monday. "Haiti" is the #1 result on Yahoo's "Trending Now" list as I write this. Many Americans are surely running into essays like this one, published in 1986 by THE HAITI PROJECT, which details historical/colonial "root causes" of poverty... but also looks at "more immediate causes of poverty" in Haiti, such as a neglected and insufficient school system (leading to illiteracy problems); unemployment and an underdeveloped workforce; and a "self-defeating image of themselves... a self-image [that] creates its own cycle of misery." I'll stop far short of comparing exact reasons for Haitian poverty to those of American poverty. Clearly there are huge differences in histories and available resources. But equally clear, there are some obvious similarities. See this article for a look at "The Core of the Problem" in the United States, which features a look at the book American Apartheid, by Douglas Massey and Nancy A. Denton. The book is rooted in statistics and history, and details how hyper-segregated high-poverty American neighborhoods have been systematically neglected by politicians and others... and how generation after generation, families in these neighborhoods have faced unique barriers to resources such as jobs and education... and that their political and spatial isolation, combined with generations of hopelessness and frustration have created not only anger, but - as the author argues - alternative value systems and a self image that occasionally get the kids in trouble. Now, by no means do I want to diminish the magnitude of this Haitian disaster, the suffering, and the need for you to take action and make a donation to a relief organization. But again, I can't help but wonder what it is about human beings - who are so clearly compassionate in times of disaster - that prevents them from consistently addressing suffering before the suffering is tied to a catastrophe? I ask you to read about poverty in the United States and get involved to address the physical, economic, and social suffering that is happening right here, right now, in your backyard... suffering that might affect you whether you feel it or not. I urge you to then lean on people you know, or who represent you... people in positions of political, media, and business power... to create preventative leadership strategies that incorporate tutoring/mentoring as a part of the plan of attack. What will it take? A catastrophe much closer to home? National Mentoring Month - Do Yourself a Quick and Easy Favor! Did you copy and paste that email I wrote for you yet, sending it to people you know who are concerned with crime, education, and workforce development in Chicago? See, it's National Mentoring Month... below, I explore findings and thoughts from influential businessmen and politicians (Democrats and Republicans). They too have done the research and are sold on the fact that YOUR small commitment... light reading, a few hours of volunteering when you can... and (importantly) occasional dissemination of information throughout your email, Facebook, Twitter networks... can make YOUR world better. Just as I am trying to do on this blog, State Farm Chairman and CEO Ed Rust asks his people "to take action in their communities by sharing information about the campaign [to address the dropout crisis]with friends and family, working with a school or nonprofit organization in some capacity, or becoming a mentor." Why does a businessman care about dropouts or mentoring at-risk students? "Experts say that dropping out of high school affects not just students and their families, but the country overall – including businesses, government and communities. The Alliance for Excellent Education estimates that high school dropouts from the Class of 2006-07 will cost the U.S. more than $329 billion in lost wages, taxes and productivity over their lifetimes." Perhaps this explains why politicians are beginning to look at mentoring programs in earnest. The late Senator Ted Kennedy introduced and passed legislation in 2007, encouraging "more organizations across the Nation, including schools, businesses, nonprofit organizations and faith institutions, foundations, and individuals to become engaged in mentoring." * "Research provides strong evidence that mentoring can promote positive outcomes for young people, such as an increased sense of industry and competency, a boost in academic performance and self-esteem, and improved social and communications skills." * "Studies of mentoring further show that a quality mentoring relationship successfully reduces the incidence of risky behaviors, delinquency, absenteeism, and academic failure." * "In spite of the strides made in the mentoring field, the Nation has a serious 'mentoring gap,' with nearly 15,000,000 young people currently in need of mentors." Arne Duncan, whose experience has taken him from Chicago's Public Schools to Washington, D.C., as President Obama's Secretary of Education, responds to those who would suggest, "This is not my problem. Their parents should help them," by reminding that not all kids HAVE positive role models or parents with the ability to help them reach their potential, for the benefit of us all. Instead the reality is that "all adults share this responsibility, whether it's teaching ... lessons to their own children or someone else's. It starts with parents but it continues with others: teachers, coaches, mentors and friends." And these realities are not just those of the liberal left. California's Republican Governor Arnold Schwarzenegger is among those conservatives who see mentoring as vital to America as a whole, not just a "short-term, charitable, feel-good luxury, when time allows." As early as 2004, Schwarzenegger proclaimed that "Mentoring partnerships between business and education provide a vital channel for businesses to support young Californians in their communities." More stats that might concern you? The Governator tells us: "Research has shown that student mentoring programs increase attendance and improve academic performance. Mentored youths are 52 percent less likely to skip school, 46 percent less likely to experiment with drugs and 27 percent less likely to drink alcohol. Sound good? Look, these problems are complex and will take years of thinking and strategizing by many people in many different places over a long period of time. Is mentoring the whole answer? Probably not, but clearly there are economic, academic, and social advantages to mentoring, with likely negative consequences for all of us, if people like us do not start using our social networks to, at minimum, raise awareness among those who might be (or know someone) in a position to mobilize business or political resources on behalf of addressing our common economic and social issues. That's a mouthful, huh? Well, fortunately, here's the beautiful thing: It's easier done than said! YOU are in a position to do something at little or no cost, to join with millions of others who are helping students now, so we all live in a better tomorrow. Start by reading my last blog and taking 5 minutes to copy and paste that email... in hopes we can reach everyone we know that wants to help us in our mission. A Resolution You Can Make and Knock Out in 5 Minutes... Great Rewards, Instant Gratification! 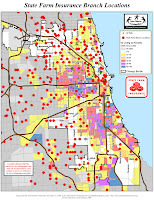 If crime, poverty, poorly-performing schools, and the economy are concerns of yours in 2010, please resolve with me to get Tutor/Mentor Program-building maps into the hands of community/political/media leaders today-- people who talk all the time about how our kids need better role models and mentors. You can do your part in 5 minutes today... to help arm our leaders with maps/tools designed to help them locate high-need areas, potential alliances, and new untapped community resources. All toward quality tutor/mentor programs in every neighborhood, for every student who needs guidance and doesn't want to be left behind this decade. Do you know political, faith, business, media, or other community leaders in your network who genuinely care about poverty, poorly-performing schools, crime, or workforce development? OR maybe there are people in your network who might not be "leaders," per se... but just "normal" citizens like you and me who worry about these issues? 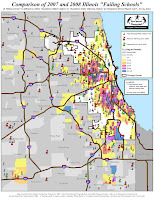 I thought of you when I learned what this non-profit is doing WITH MAPS to fight crime, poverty, and other social problems in Chicago. They map areas where "at-risk" students are living with high poverty, crime, and underachieving schools... where kids might benefit from mentoring, to make good life choices toward college and career, versus the street. 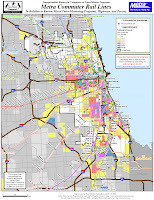 Then "Mapping For Justice" maps the community resources that can make new tutor/mentor programs happen. Or perhaps religious (or other) organizations that might take a lead in hosting, promoting or supporting new/existing mentoring programs where the maps show they're needed. Contact Mapping For Justice at trakangis@yahoo.com. 5 minutes toward helping students make good decisions now, so you don't have to worry about them later. What a great start to your new year! Cheers to a safer and more prosperous decade!